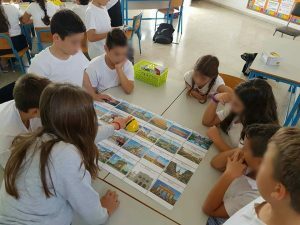 On Friday October 19, 2018, the 5th graders of Agia Napa Primary School – Antoni Tsokkou participated at the @CodeWeek EU with the activity “I learn the European capitals via robotics“. 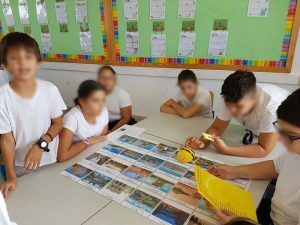 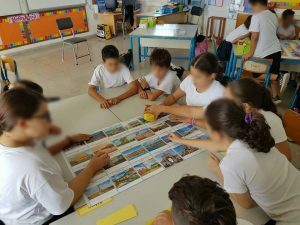 The educational activity was organized by Mrs. Stella Timotheou (Primary Education Teacher, Doctoral Student at the Cyprus Interaction Lab) and was supported by the Research center on Interactive media, Smart systems and Emerging technologies (RISE, http://rise.org.cy). 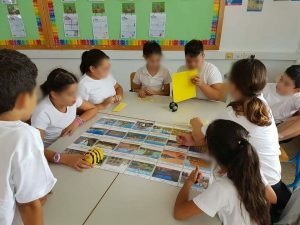 As part of the activity the children were introduced in simple programming concepts in a playful way via programming various educational robots.